Let's begin with the gateway to Connecticut's Litchfield Hills from the southern boundary. 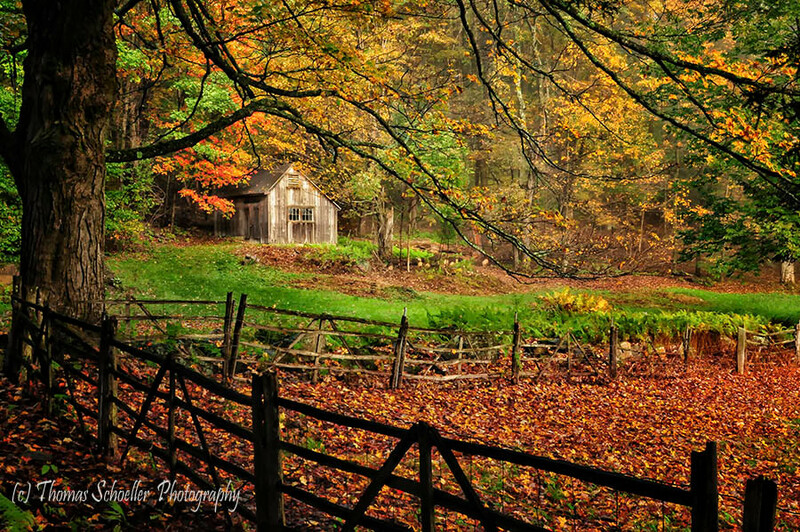 This bucolic scene is from a quiet country road in Roxbury. It's a sleepy little town, not much happening here, however, there is a deli in the center of town to grab a coffee for your drive. The brilliant reds, yellows, and orange are what you should expect to see as you explore the region. Roxbury is a rather idyllic little New England town, leaving weekend visitors pondering if in fact they somehow lost track of time and wound up in Vermont. Rest assured, the southern gateway to the Hills starts with a "bang" when it comes to the scenery! 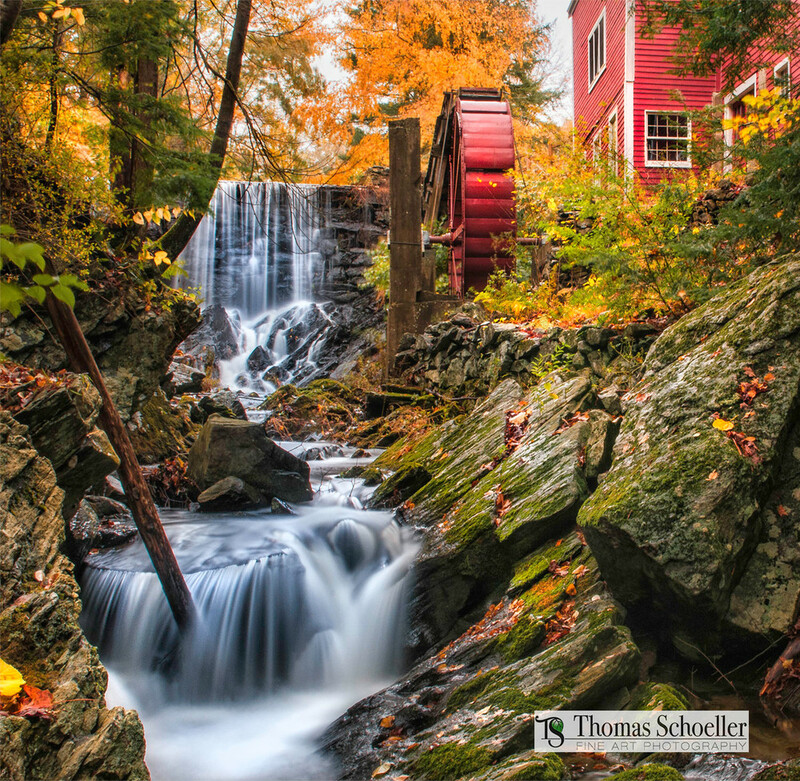 This picture perfect red mill and waterfall is located on a highly scenic portion of rural Route 133 in Bridgewater, a neighboring town to Roxbury Ct. Being I'm a local resident, I am fortunate to have the time to explore my photo opportunities all summer long in advance of the fall foliage season. For this, I had to park my vehicle at the state boat launch at Lillinonah and hike almost a half mile, then find an accessible way to scramble down a steep bank and wade another 200 yards in chilly water and very slick rocks to get this perspective from inside the tiny gorge. Be aware that no parking exists along the roadway and it's awfully narrow despite recent 2017 renovations to the travel portion so use caution as you drive, and even more caution if you think of climbing into the narrow gorge. 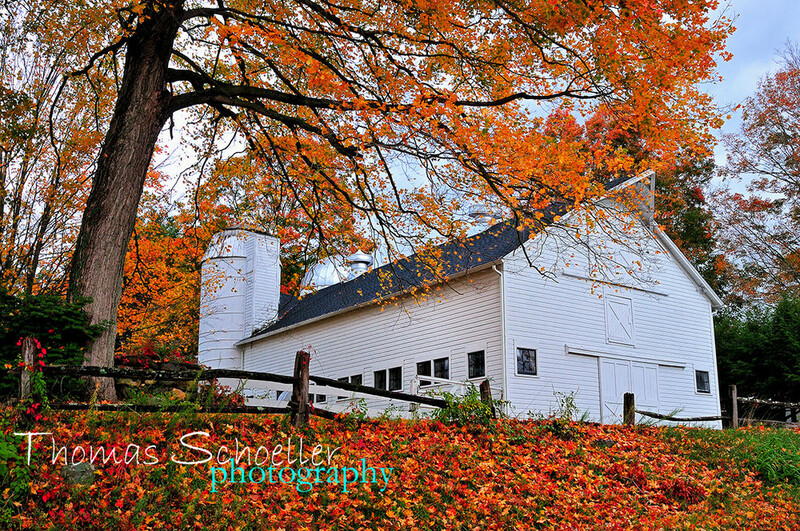 The classic New England style of this white barn on a gently sloping hillside framed by fall foliage makes for a perfect fall image. This is another scene typical of what you will find in and around the southern tier of the Hill's region near Roxbury and Woodbury. Rte 67 and Rte 47 are the primary travel routes in this region. I do encourage you to "live a little" and see where that unpaved road takes you while here. A slight mist in the air provides an ethereal feeling in this pastoral Litchfield Hill's landscape. 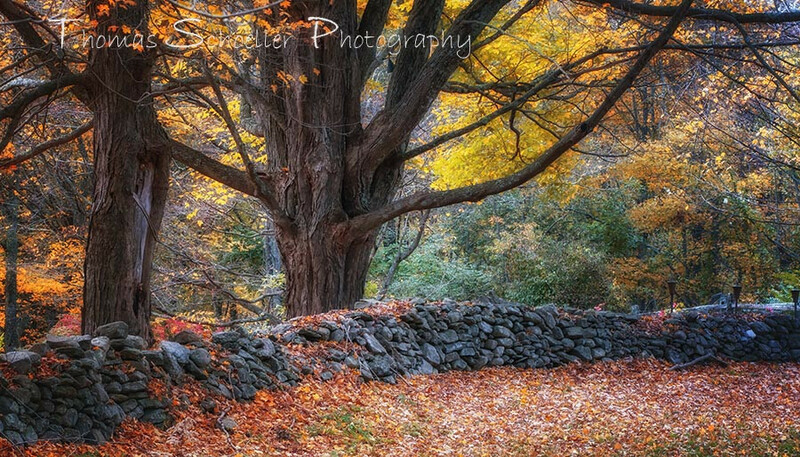 Centuries-old stone walls are common throughout the pretty little corner of Connecticut. The Park Lane Cider Mill sets up their stunning fall display each year by mid-September. It's located at the junction of Route 202 and 109 in the town of New Milford. I swore I would not make this a travel guidebook but I highly recommend a stop in New Milford (village Green Main St. and Bank St) for a bite to eat and to explore the quaint shops. 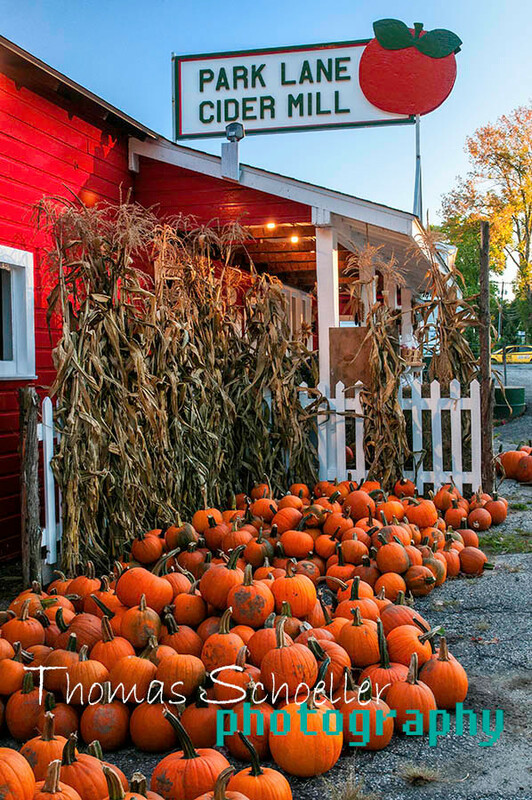 The cider mill is also a great place to grab your pumpkin and of course, a gallon of fresh apple cider. 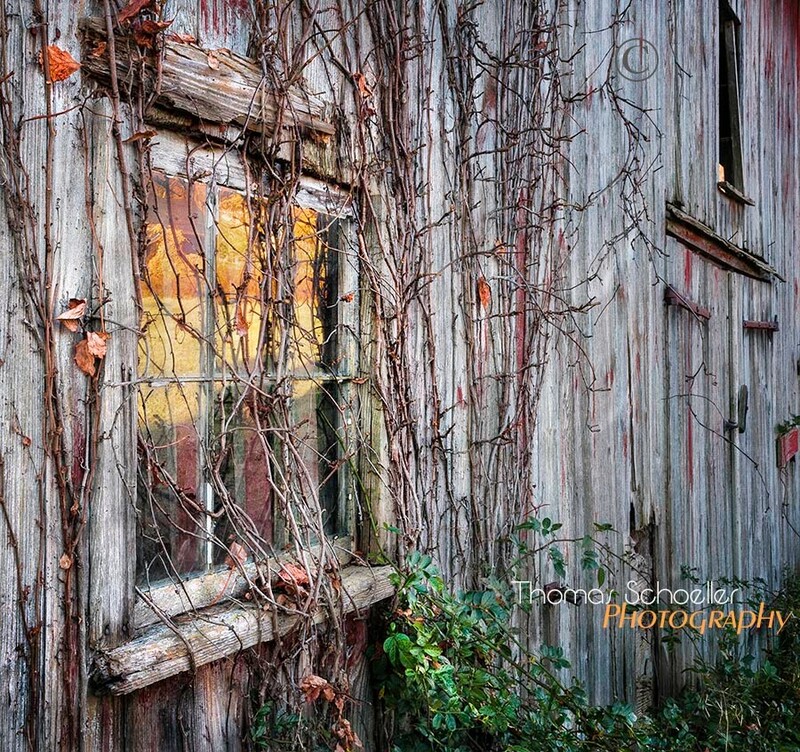 A beautiful burst of backlit foliage and a derelict barn make for a scene worthy of a stop to drink in the countryside. This is tucked away into the sleepy "Kent Hollow" which is always a great area to explore and just get lost for a few hours. The roads up here will link you to Warren, Kent, New Preston and the north shore of Lake Waramaug. The general main routes traveled here are Rte 341, Rte 45 and Rte 202 for a short span. My suggestion is to get off the beaten path and explore all the connecting roads. You seriously didn't think I would do this virtual tour of Connecticut's Litchfield Hill's without featuring our quaint covered bridges? This is the southernmost bridge located on the NY state line in South Kent. 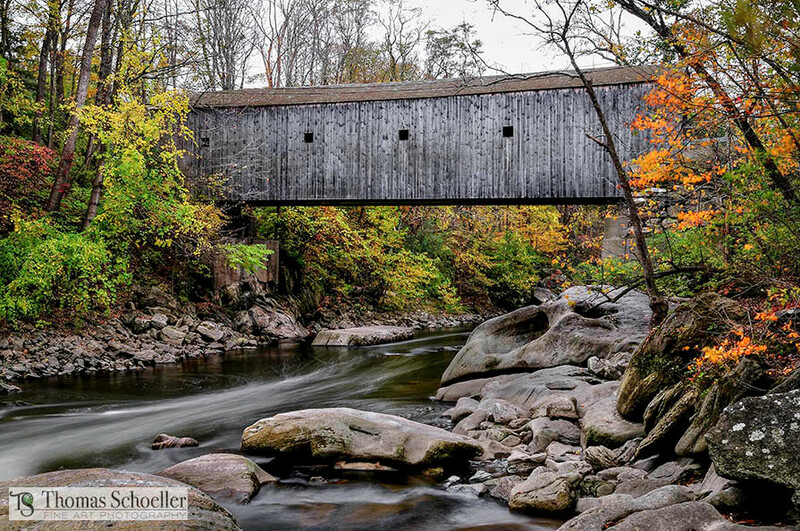 It's known as the Bull Run covered bridge, sometimes called simply "Bull's Bridge". This is a popular seller amongst my catalog of fine art prints, click here to view it in my store: Bulls Bridge. Real quick, just north from S. Kent and this bridge is the Village of Kent Ct. By the weekday normally a sleepy little picturesque village, weekends the town is a vibrant place to be featuring quaint shops and an assortment of eateries. It's a half hour north of New Milford, if you missed breakfast or lunch earlier in the day Kent is generally a fun place to stop. Although you may encounter quite a few hundred visitors at this state park especially on weekends, Kent Falls State Park is definitely worth a visit if you are inclined to enjoy a short hike and a place to enjoy nature. Kent Falls is located just off scenic Rte. 7 and is on the Cornwall/North Kent border. If you have an opportunity to make your visit on a weekday, I recommend doing just that. By 10:00 am on weekends the lot can be near capacity and the state operates its collection booth. Weekdays you are likely to enjoy some solitude. The photo I took is from one of the cascades along the steep hiking trail that runs along the Kent Falls Brook to the top. The state has since installed wire fencing to protect you, from yourself. It's unfortunate especially since wire fences are not naturally occurring. If you don't bring appropriate outdoor footwear it's best to play it safe and stay close to the bottom viewing pad. 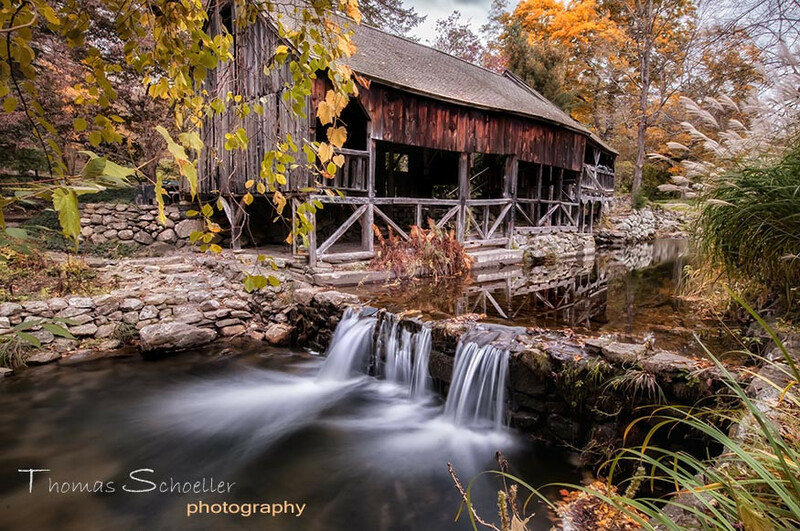 This is the other scenic covered bridge in the Litchfield hill's region. Also located along the beautiful Rte. 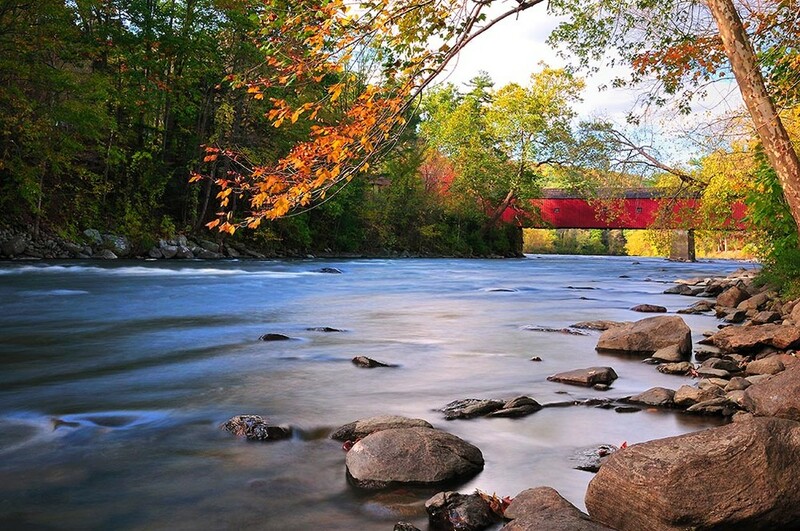 7 corridor, it spans the rapids of the Housatonic River and connects the towns of Sharon and West Cornwall. The historic bridge is open to passenger cars and SUV's, just be aware the bridge is popular to walk across and it's only wide enough for one lane. Traffic is a leisurely "one on one" right of way event so approach the entryway slowly to check for oncoming traffic before crossing. This classic beauty stands as a sentinel overlooking the Village green in the Center of Litchfield Connecticut. 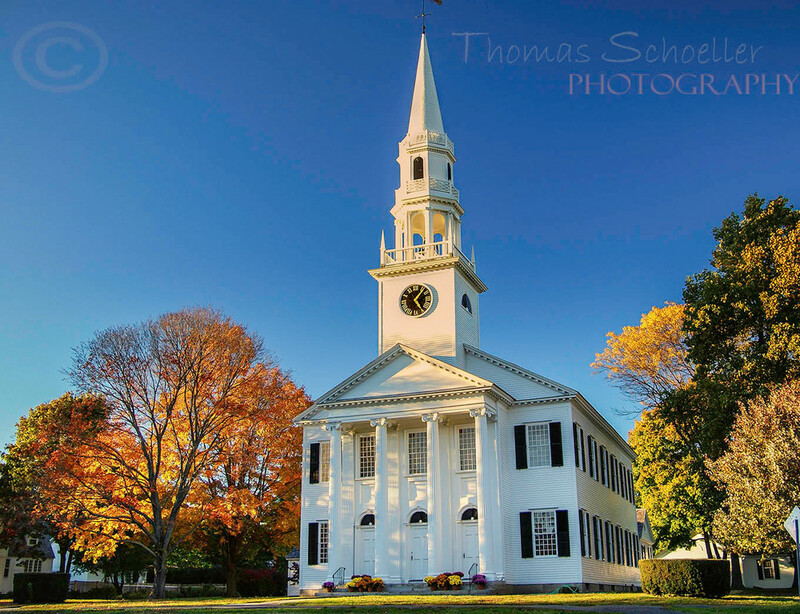 A handsome architectural design, the 4 column steeple topped church is traditional of New England villages and historically served the towns as community centers and meeting houses. This is one of my favorite Connecticut steeples, located on the village green at the Jct of Rte. 202 and Rte 4. While on the subject of the Litchfield village, this is yet another beautiful town to get out and walk the streets and enjoy a gallery or one of the Pubs. 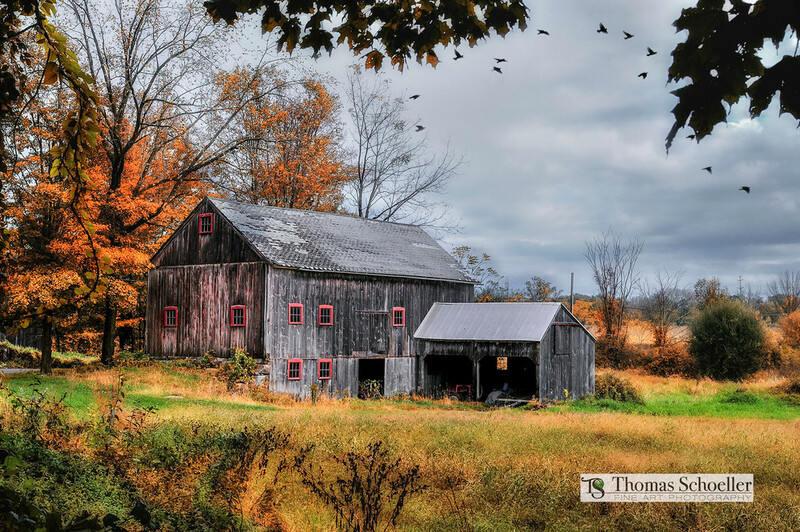 The autumnal scenic (above) depicts an old red barn in Sherman Ct. which straddles the western fringes of the state up to the NY border. From lower elevations in busy New Milford, Rte 37 is the most direct route to this bucolic and sleepy village. A scenic drive along the shore of Squantz pond is just 10 minutes from Sherman along Rte 37 south. 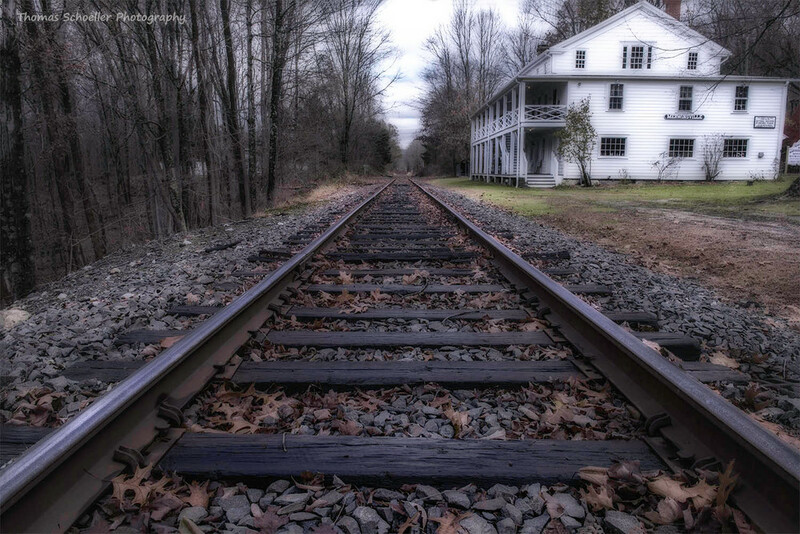 If things that go Bump in the Night, for real, are for you.... then drop down from Sherman traveling via Rte 55 east to Gaylordsville and check out the renovated Merwinsville Hotel and historic train depot. Halloween is just a few weeks from "peak foliage" season, however, I don't think the spirits that inhabit the old hotel notice. You are only minutes from the Bull Run covered bridge at the jct of Rte 55 and scenic Rte 7. This is a scene that depicts the rural nature of the extreme northern fringe of the Hills region. I found this off a remote dirt road near the tiny town of Norfolk Connecticut. If you plan to navigate the secondary roads this far north in the state do so with the Litchfield County map or a good GPS. We are not comparing this to the wildlands of a Montana forest service road, but you could find yourself driving around almost aimlessly for an hour or more without guidance. Speaking for myself, I live for exploring unknown opportunities. I do understand you may not have unlimited time. If you do, lets get lost!! 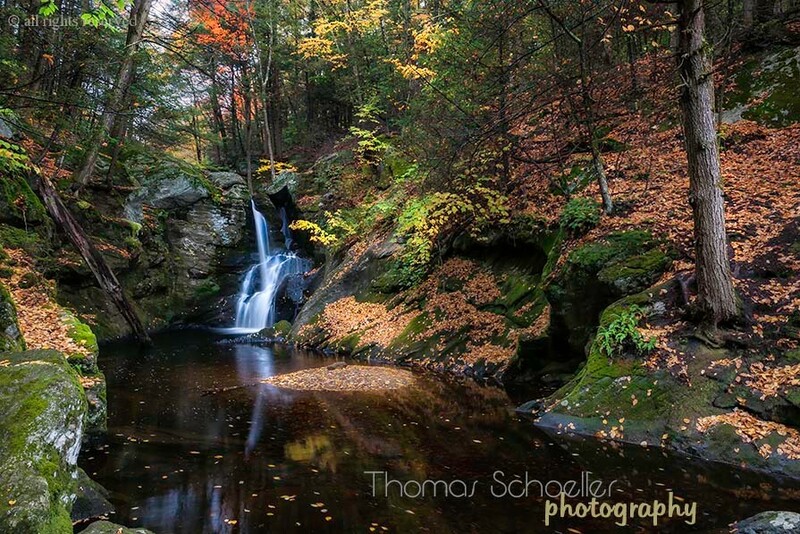 Along the eastern fringe of the Litchfield Hills, you can enjoy the beauty that is Enders falls. It's technically in Hartford County and nearby the town of Granby Connecticut. 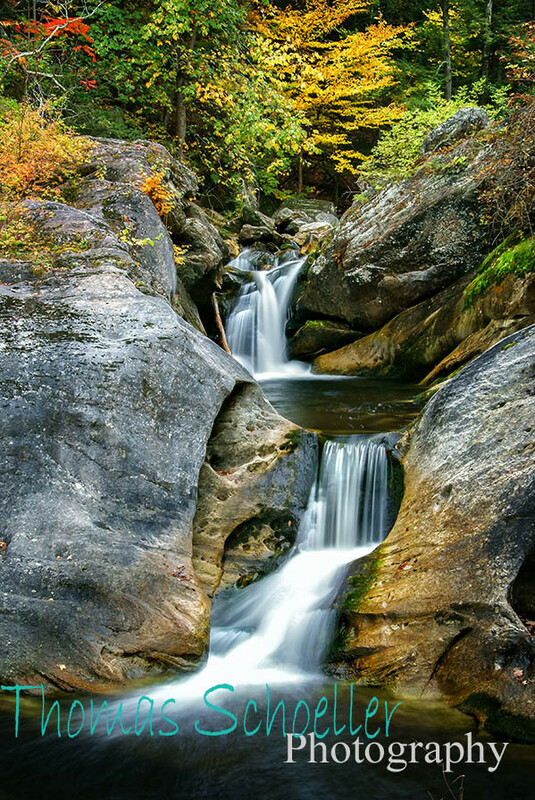 There are 4 major cascades found in this state park, each one has a unique character to be enjoyed. If you are coming from the greater Boston/Hartford area this may be the best way to begin your tour. 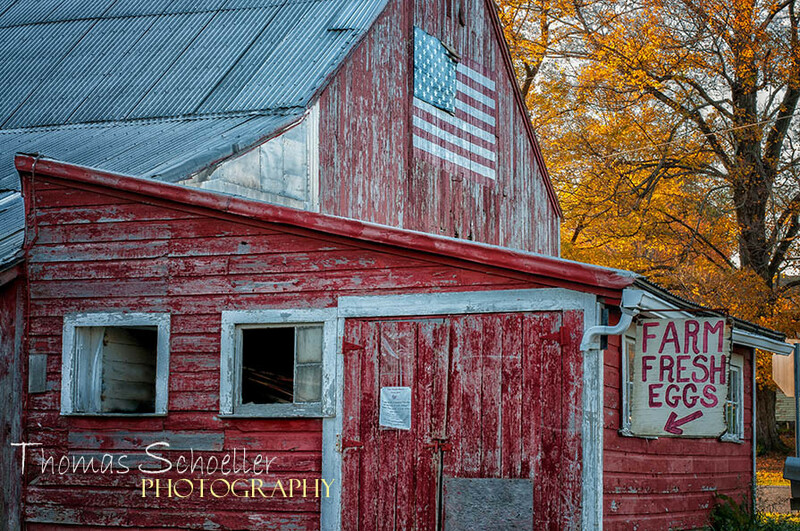 A little taste of Americana for ya. Farmstand is open for business, and yes they sure do still employ the trust system up here in Warren. I made my residence a scant 1.5 miles from this farm for the better part of 18 years. 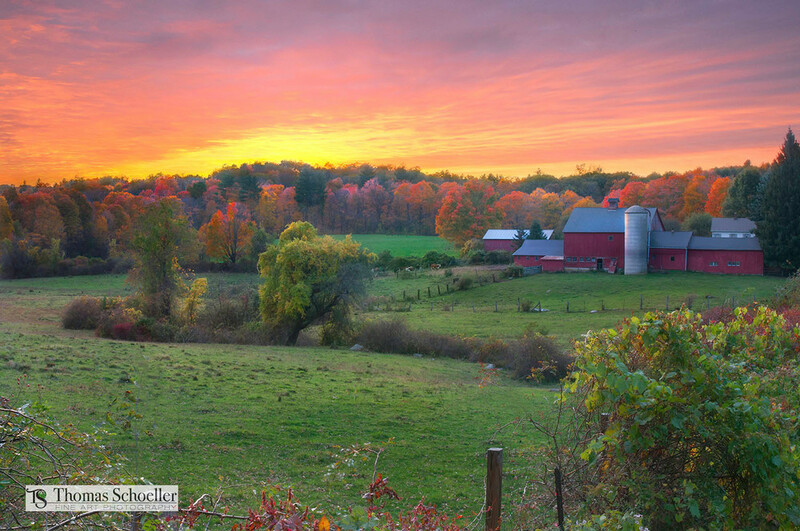 Its one of the many rural scenes you can observe along the Rte 341 and Rte 45 corridor that is north of scenic Lake Waramaug. I have this print in my galleries for sale, titled REMEMBER WHEN. 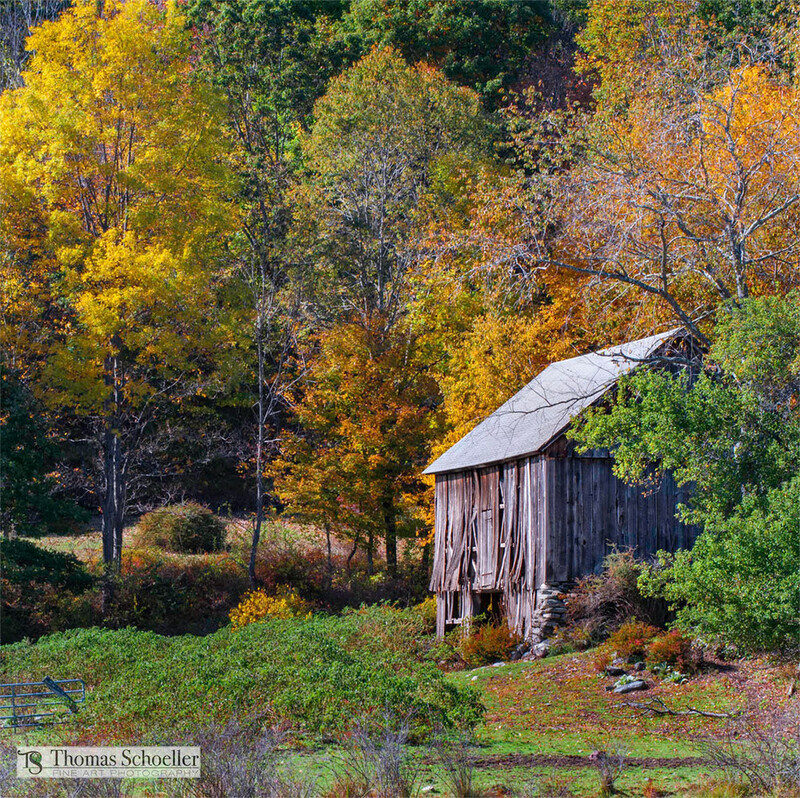 In closing my virtual photographic tour of Connecticut's Litchfield Hills, I'm leaving you with a retrospective view of the autumn foliage with this Fine Art sample from my store. Titled "Foliage Colors in Retrospect". 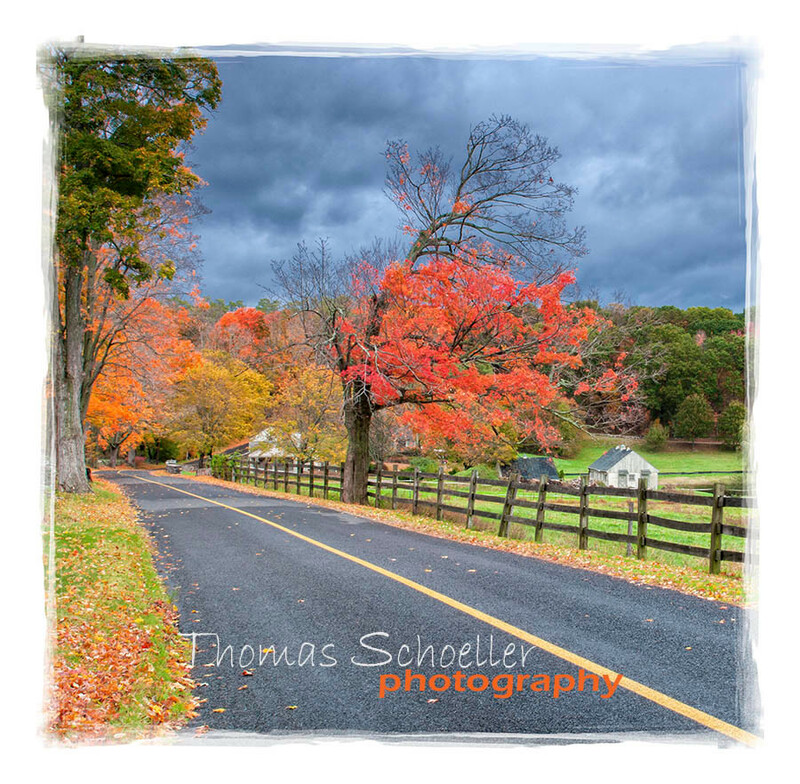 It is a square format print available in sizes from 16x16" up to 30x30". 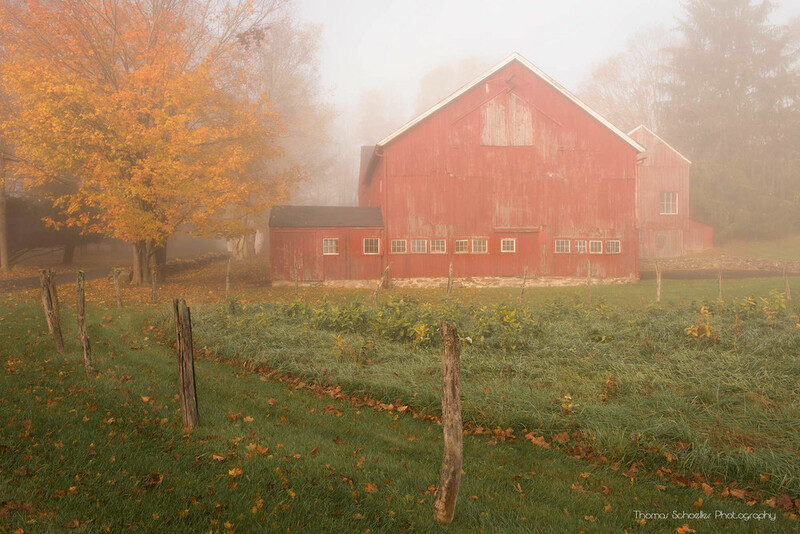 This is a scene I composed in Litchfield County, taking advantage of the low angle of sunrise light illuminating the forested hills in the distance to frame the reflections perfectly in this centuries-old vintage barn. 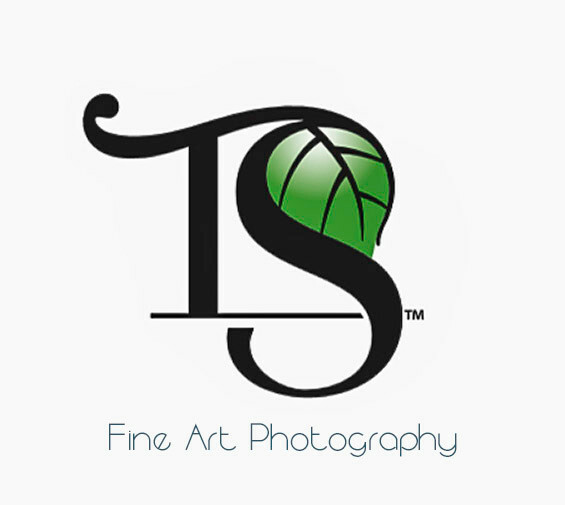 Thanks for viewing my September blog and visiting my website. If you have any comments or questions please be sure to visit my new FaceBook fan page and be sure to follow!